Arizona Revised Statutes require many professions to have an active fingerprint clearance card prior to or as a condition of licensure, certification, or employment. The Applicant Clearance Card Team (ACCT) at the Arizona Department of Public Safety, receives applications and reviews criminal history records of applicants to determine their suitability to receive a fingerprint clearance card, and periodically updates the status of current fingerprint clearance cards. From July 1, 2016 to June 30, 2017, the ACCT issued 147,694 fingerprint clearance cards. As of January 1, 2018, there were 736,979 active fingerprint clearance cards in use. The Arizona Revised Statutes (Statutes) require members of many professions to have an active fingerprint clearance card prior to or as a condition of licensure, certification, or employment. The Statutes currently list 52 reasons why a person may need a fingerprint clearance card. The ACCT calls these sponsors. Your licensing, certifying, or authorizing agency, board, or employer (sponsor) can better advise if you need a fingerprint clearance card, and which Statute provides the reason for the requirement. You may add or delete sponsors at any time during the six (6) years your card is valid by notifying the ACCT at (602) 223-2279. To assist in the protection of vulnerable citizens through the collection and analysis of criminal history record information to determine the suitability of clearance card applicants to provide services to those at-risk groups. There are two ways to apply for a Fingerprint Clearance Card. Please select the option below that is best suited for you. Download and print the Fingerprint Clearance Card Replacement Request form. Send the completed form to the mailing address on the form with the $5.00 required fee (cashier's check, money order or check drawn on a business account). Where is the Fingerprint Clearance Team located? The Applicant Clearance Card Team (ACCT) is located in the DPS Public Service Center at 2222 W. Encanto Blvd. Phoenix, AZ 85009. What is the difference between a Regular (Non-IVP) and an IVP application? The only difference is when your fingerprints are taken. Once an applicant’s fingerprints have been taken for a Regular (Non-IVP) paper application the technician is able to return the completed fingerprint card to the applicant for delivery to DPS, along with the application and fee for processing. This means the technician taking the fingerprints must not break the chain of custody by giving the fingerprints back to the applicant, but must mail the fingerprint card directly to DPS, along with the application and fee, in the provided blue DPS return envelope. NOTE: If you submit an electronic application, either a Regular (Non-IVP) or an IVP application, your fingerprints will be submitted to DPS electronically. The same background check is done for both the Regular (Non-IVP) and IVP application. What is the difference between a Level One Fingerprint Clearance Card and a Regular Fingerprint Clearance Card? There are some offenses listed in ARS § 41-1758.07(B) that preclude a Level One (IVP or non-IVP) Card from being issued but would allow a Regular (IVP or non-IVP) Card to be issued. How do I know if I need to submit a Regular (Non-IVP) or an IVP application? What is a "Driving Restricted" Fingerprint Clearance Card? Pursuant to ARS §§ 41-1758.03(D) and 41-1758.07(D), or ARS § 41-1758.04(D), DPS is required to issue either a Regular or Level One Driving Restricted Fingerprint Clearance Card. A person who is awaiting trial on or who has been convicted of committing or attempting to commit a misdemeanor violation of ARS §§ 28-1381, 28-1382 or 28-1383 in this state or the same or a similar offense in another state or jurisdiction within five years from the date of applying for a … Fingerprint Clearance Card is precluded from driving any vehicle to transport employees or clients of the employing agency as part of the person's employment. Statutes mandate a notation be placed on the Fingerprint Clearance Card that indicates this driving restriction. This does not preclude a person from driving a vehicle alone as part of the person's employment. How do I apply for a Fingerprint Clearance Card? To apply electronically, click the "Apply for a Card" tab. · This option is available to Arizona residents only. · Applying electronically could significantly reduce processing times when no research is required when compared to submitting a paper application. · NOTE: If you need to submit an IVP Renewal Application, you can still apply electronically. On the "Reasons" page, be sure you select one of the two IVP Renewal Options on the dropdown menu. In lieu of setting up an appointment to be fingerprinted, you will be required to provide the IVP # that is on the front of your current card. · To obtain a paper application, call the Applicant Clearance Card Team at (602) 223-2279 and request one be mailed to you, or you can pick up an application at the DPS Public Service Center at 2222 W. Encanto Blvd. Phoenix, AZ 85009. Office hours are Monday-Friday from 8:00am to 5:00pm (closed on all state holidays). · You may be able to obtain a paper application from your employer or agency. · You can also download an application from our website, however, it is not a complete packet as it does not include a fingerprint card nor the return envelope. What is the fee to apply for a Fingerprint Clearance card and what forms of payment are accepted? · The DPS fee* is currently $67.00**, except for volunteers. The fee for volunteers is $65.00**. · State agencies may also elect to submit a State Companion Action Transfer form for paper application processing. · Depending where you have your fingerprints taken, there may be an additional fee for service, which is not controlled by DPS. *The DPS fee is used to process the application regardless of the final result, approval or denial of a Fingerprint Clearance Card. **The DPS fee is subject to change at any time and is non-refundable, pursuant to ARS § 41-1750(J). · There is an additional vendor convenience fee of $7.95, which includes fingerprinting at an approved vendor location. · The electronic application processing fee may be paid on-line when you apply with either a credit or debit card. · State agencies and employers may establish an account for direct billing with the DPS vendor for electronic application process and will provide the applicant with a funding code to use online. Can I go to DPS to be fingerprinted for a Fingerprint Clearance Card? No. DPS does not provide fingerprinting for the public for this purpose. For fingerprinting services, it is recommended you contact your local police department or a professional fingerprinting service. For applicants with a criminal history record (which will require research by DPS), the processing time averages between 35-55 days. Please note, this average is subject to change (can increase or decrease) depending upon the number of applications received by DPS. For applicants with no criminal history record the average processing time is currently less than two days. Please note, this average is subject to change at any time (can increase or decrease) depending upon the number of applications received by DPS. For applicants with a criminal history record (which will require research by DPS), the processing time currently averages between 35-55 days. Please note, this average is subject to change at any time (can increase or decrease) depending upon the number of applications received by DPS. To obtain a copy of your Arizona criminal history record to review, update or correct, you can contact the Arizona Department of Public Safety Criminal History Records Unit at (602) 223-2222 or visit here to obtain a Review and/or Challenge packet. What is the privacy statement for the DPS Applicant Clearance Card team? 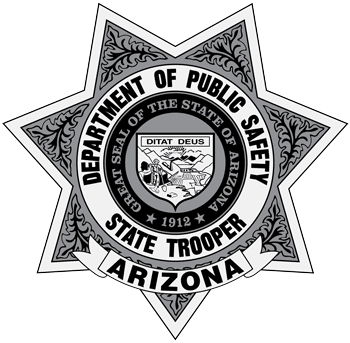 In accordance with ARS §§ 41-1750(A)(2) and 41-1758 et seq., the Arizona Department of Public Safety (DPS) Applicant Clearance Card Team conducts fingerprint-based criminal history record checks and exchanges the fingerprint data with the Federal Bureau of Investigation. Further, as required by ARS §§ 41-1750(G)(3) & 41-1758.03(F), 41-1758.07(F), DPS releases an applicant’s criminal history record to the Arizona Board of Fingerprinting upon the Arizona Board of Fingerprinting’s request, for the purpose of conducting good cause exception hearings. Can DPS tell me if I qualify for a Fingerprint Clearance Card before I apply? No. DPS cannot pre-screen an applicant. DPS cannot determine if an applicant is eligible for a Fingerprint Clearance Card until the fingerprint-based state and federal background results are received and reviewed. Where can I find out what offenses could keep me from obtaining a Fingerprint Clearance Card? · Precluding offenses for a Level I Fingerprint Clearance Card are listed in ARS § 41-1758.07 subsections B and C.
· Precluding offenses for a Regular Fingerprint Clearance Card are listed ARS § 41-1758.03 subsections B and C.
Can you send me and/or my employer an email or fax stating my application is in process or that my card is valid? DPS cannot send an email or fax to an employer regarding the status of an application or to verify a clearance card is valid. The employer will need to use one of the options noted under the FAQ "HOW AND WHEN CAN I CHECK THE STATUS OF AN APPLICATION?" or "HOW CAN I CHECK TO SEE IF A FINGERPRINT CLEARANCE CARD IS VALID?". If you provided a valid email address when you submitted your application, you will receive an email once your application is entered into the DPS database, advising you that your application is in process. DPS cannot send a fax with this information. If you did not provide an email address, you will need to use one of the options noted above to check the status of your application or to verify that your card is valid. · You can also check the status by calling (602) 223-2279. Based on the number of callers ahead of you, you may experience a wait time. · The status of a paper application will not be available online, or if you call, until it has been entered into the DPS database. How long before it is entered will vary daily based on mail transport time and the volume of applications received by DPS. No specific time frame can be provided. · For electronic applications, allow approximately 24-48 hours (could possibly take longer) after you have been fingerprinted for the status to be available online. How can I check to see if a Fingerprint Clearance Card is valid? · Calling (602) 223-2279. Based on the number of callers ahead of you, you may experience a wait time. · Faxing an Applicant Clearance Card Team (ACCT) status request form* to (602) 223-2947. A response from the ACCT could take several days depending on the volume of requests received. *If you need an ACCT request form, call (602) 223-2279. After I apply, if my mailing address changes should I notify DPS? Yes. The only way DPS will know if your address changes is if you contact DPS directly. It is imperative you contact DPS with your current address to ensure you receive any correspondence concerning your application. As an employer, if an employee provides a photocopy of a Fingerprint Clearance Card or the actual card itself, is that proof that it is a valid card? No. A photocopy of a Fingerprint Clearance Card or the Card itself is not proof that it is a valid card. As an employer, you will need to either check the status online or contact DPS (see FAQ "HOW CAN I CHECK TO SEE IF A FINGERPRINT CLEARANCE CARD IS VALID?") to determine if the person has a valid card. If the person only provides a photocopy they should request a replacement of their Fingerprint Clearance Card (see FAQ “HOW MAY I OBTAIN A REPLACEMENT OF MY FINGERPRINT CLEARANCE CARD IF IT IS LOST, STOLEN OR MY NAME CHANGES?”). How may I obtain a replacement of my Fingerprint Clearance Card if it is lost, stolen or my name changes? · Online - Print the form found on the Card Replacement Request Tab. The completed form must then be mailed to DPS with the required $5.00 in the form of a cashier’s check, money order or check drawn on a business account. · By Phone - You may call (602) 223-2279 and request the form be mailed to you. The completed form must then be mailed to DPS with the required $5.00 in the form of a cashier’s check, money order or check drawn on a business account. · By Fax - You may fax a written request for the form to (602) 223-2947. Include your full name, address, telephone number, and card number in your request. The completed form must then be mailed to DPS with the required $5.00 in the form of a cashier’s check, money order or check drawn on a business account. How long is a Fingerprint Clearance Card valid for? A Fingerprint Clearance Card is valid for six (6) years. DPS recommends renewal application be submitted approximately six months prior to the current card expiration. This will allow for adequate processing time as well as any issues or concerns that may arise in the process. If I currently have an IVP Fingerprint Clearance Card, when do I need to send in a renewal application? Will I have to submit Fingerprints again? · If the front of your card contains an IVP #, you do not have to submit fingerprints with your renewal application. DPS has your fingerprints stored electronically. Be sure to note the IVP# that is on your card in the space provided on the paper application form or on the electronic form. Without this information, your application cannot be processed. Please note: it may be possible the FBI will reject the fingerprints DPS has on file due to the quality, so you may have to be reprinted for the FBI. · If on the front of the card, after IVP#, it says “See back of card” you will need to submit fingerprints with your renewal application because the fingerprints submitted with your prior application were not of sufficient quality to be stored electronically. If I receive a notice of denial from DPS, is there any way I can ever be issued a Fingerprint Clearance Card? Depending on the offense or offenses for which you were denied, you MAY be eligible to pursue a good cause exception through the Arizona Board of Fingerprinting. The Board of Fingerprinting is a separate state agency from DPS. Therefore, DPS is not authorized to respond to any questions you may have regarding the good cause exception process. The Board of Fingerprinting’s contact information will be included in the DPS denial notice. For more information regarding the Arizona Board of Fingerprinting, please visit their website. If my fingerprint Clearance Card is suspended, can it ever be reactivated? Information on how a Fingerprint Clearance Card can be reactivated is provided in the DPS suspension notice that is sent when the card is suspended. Yes. Call (602) 223-2279 and ask to speak to the person that sent the letter or email the Applicant Clearance Card Team at [email protected] (be sure to provide your full name, application number, and date of birth). A copy of the letter will be mailed to you via US Mail. Due to the confidential criminal history information contained in the letter, it cannot be faxed or sent via email. Can the DPS Applicant Clearance Card Team provide a blank Fingerprint Card for any reason other than Fingerprint Clearance Card application purposes? No. The DPS Applicant Clearance Card Team does not provide blank applicant fingerprint cards for any other purpose than applications. You can contact the FBI to see if they can provide them to you or find a vendor that carries Applicant FD-258 Fingerprint Cards.